Now that I’ve discussed Lily Cook Arnold, Samuel Cook, and also, to some extent, Faith Cook Saunders, I thought I’d talk about what I know about the other siblings. All are still mysteries, and some were so close and yet so far. All of the children either came to Canada from Lincolnshire, or were born in Canada, i.e. Mary Eliza and Albert Godfrey. I will discuss these two in my next posting, but today I focus on Clara Matilda Cook, Edward Wiliam Cook, Arthur Wilson Cook, and Martha Annie Wheatly Cook. 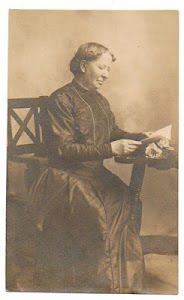 Clara Matilda Cook was born in Eston, Yorkshire on December 6, 1871. She was baptised in Eston on January 7, 1872. She came to Canada with her family in 1889 (as did the other children born in England). In 1906, at the age of thirty-five, she and her brother Edward were living in the household of her future husband, “C. B. Moran” and his brother in Saskatchewan. She is listed as the “housekeeper”. 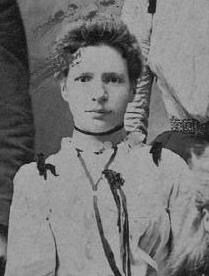 On August 18, 1910 in Winnipeg, Manitoba, she married Moran, born July 29, 1873 in Wellington, Ontario. She was thirty-eight years old. He had a variety of possible first names, “Charles Benjamin Chad Guy”. In 1911 and 1916, they are living in Qu’Appelle, Saskatchewan, and he is a “farmer”. ( In 1916, it is specified that they are living in Rocanville, Qu’Appelle). No children are listed. I have no death record for Clara, but her husband died on April 27, 1938 a widower in Salmon Arm, British Columbia, where Clara’s sister Lily was living. Clara is unlikely to have died in British Columbia herself, as I can find no record of her death here. Her brother, Edward William Cook was born on January 21, 1875 in St. Bottalpham, Lincolnshire. As mentioned above, in 1906 he was living with his sister Clara in Saskatchewan in the household of her future husband. He is the “hired man”. He was living in Winnipeg in 1910, where he was a witness at his sister Faith’s wedding. He was living at the same address as his sister, Mary Eliza, also a witness, 75 Donald Street. My guess is that this was also the address of their widowed mother, Emma, and possibly some of the other siblings at the time. In 1911, he is living with his mother and several of his other siblings in his mother’s boarding house in Vancouver. He is working as a carpenter. In early 1913, at the age of thirty-eight, he is living with his mother and his sister Mary Eliza, and is working as a “lather”. Later in the year, on June 21, 1913, he married Mabel Winnifred Mills, and listed his occupation as “carpenter”. Mabel was born on January 13, 1889 in Kensington, London, England. From 1929 onwards, he was a shipper and a warehouseman for Vancouver Equipment Corporation until his death on December 6, 1954, and lived in Burnaby for a good portion of the time. Edward and Mabel had at least one child, George E. Cook, born in 1915. Mabel died August 5, 1978 in White Rock, British Columbia. Her address was Crescent Beach. The next brother, Arthur Wilson Cook, was born December 17, 1878 in Bexleyheath, Kent, England. Why he was born so far away from where the family is known to have lived is one of the many mysteries about him. 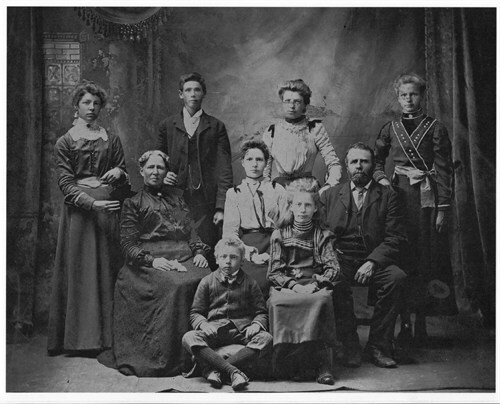 He is living with his parents in Saskatchewan in 1901, and is a “farmer”. In the last record I have of him, the 1906 Canada Census of Manitoba, Saskatchewan and Alberta, he is a “boarder” in the household of Alexander Dafoe. He, like Edward, is not in the family portrait, and therefore I have no photos of either of them. 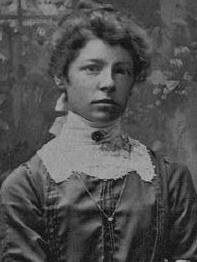 Martha Annie Wheatly Cook was born October 13, 1884 in Guisborough, Yorkshire. She was baptised in Timberland, Lincolnshire, the birthplace of her father, on March 9, 1887, the same day as her sister Lily. [For further information on Martha, please see my blogpost, Martha, Mary Eliza, and Clara Cook Revisited, dated July 30, 2013].